Live a day like royalty and explore the maritime beauty of Ibiza and Formentera with Smart Charter's shared charter service. A luxury day out on the sea doesn't have to cost a fortune. 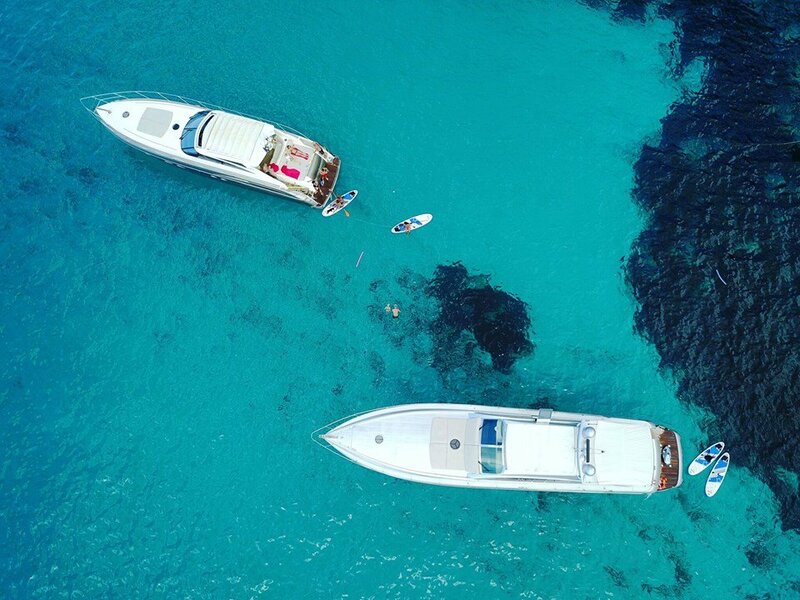 With Smart Charter Ibiza you can book your trip to the idyllic Formentera on your own stylish boat for a fraction of the price as part of its shared charter scheme available every Monday and Thursday. Be your own James Bond and sail the crystalline seas towards the stunning island south of Ibiza this summer. Prices start from €160 in low season and includes food, drink and fuel. Your own experienced skipper will also be on hand to guide the vessel to the most picturesque spots the island has to offer. There'll be plenty of time to relax on board, but of course there's loads of activities to do should you prefer to be more active. Included in the price is paddle boarding and snorkelling equipment. Although if sunbathing and drinking is more your thing, then you can do that. The Smart Charter's shared charter service is all about you. Explore caves, float on the blue water and discover white sandy beaches in the six hours of charter fun Smart Charter provide. Starting at 13:00, your skipper will take you out from Ibiza town port and out onto the water before heading back for 19:00. Sharing a charter boat is the way to live a day of luxury at an affordable price for holidaymakers. Roll-up next to the superyachts this summer with your shared charter group. With a deep V hull this boat effortlessly cuts through the waves. A sunbathing platform at the front is accompanied by a sofa spanning the back. The seating area is covered by a large sunshade and there is an open plan lounge with bathroom and cabin on board. Perfect for a group day out! Price includes: luxury charter tour to Formentera, captain, complementary drinks, snacks and sandwich, snorkelling equipment, paddle board, towels, fuel, third-party insurance. Recommendations: sun cream, sun hat, sunglasses, swimwear, a jacket or cardigan (temperatures drop when sailing back in the evening) and if you get sick at sea get yourself some Biodraminas, the local Spanish brand for sea and travel sickness from one of the local pharmacies (always indicated with a green cross). Cancellation policy: If you cancel more than 1 week in advance of your chosen date, you will be fully refunded. In case of bad weather conditions, the activity can either be re-scheduled or refunded.